New lease from the Portman Estate, outside the Act for a term to March 2020 at £23,000 per annum outside the Act. Approx. £12.50 per square foot per annum. The rates payable will be approximately £11,000 but interested parties must confirm this by their own enquiries. 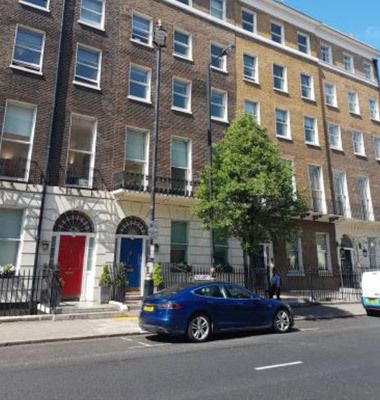 The building is situated on the west side of Gloucester Place between the junctions of George Street and Dorset Street. The immediate area is well served by shops and restaurants located on Baker Street and George Street and also benefits from good public transport being in close proximity to Marble Arch, Bond Street and Baker Street tube stations (Central, Jubilee, Hammersmith & City and Metropolitan lines). Marylebone mainline station is also easily accessible.